So tell me you've seen this girl, Rachael Lust. A friend recently shared a link to her online and well, if you haven't seen her, you need to watch the video below. This 26 year old mama is the 2014 Hooper of the year. It sounds silly thinking about hula hooping as a child, which I was horrible at and then seeing something like this girls talents. I am kinda in awe and maybe have watched this video more than a far share of times, but it's quite impressive to say the least. 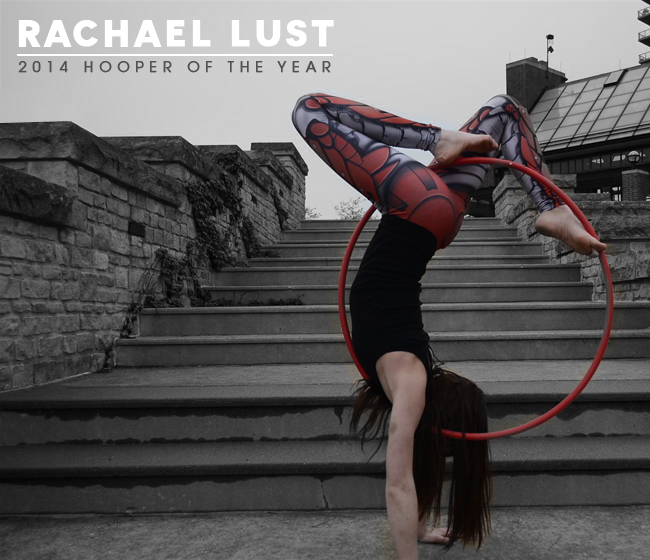 Who knew a plastic hula hoop, the right moves and some dedication could result in this. Enjoy & Happy Friday!